Modern humans have been separated from the first Homo sapiens and older human species — Homo erectus by a long childhood. But, a study on a 160,000-year-old early Homo sapiens child might eventually change the age-old thought on — when and where modern humans arose. This early Homo sapiens child was found in North Africa. 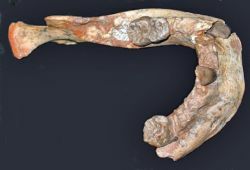 It is the teeth of the child, which helped the European researchers, study the growth patterns of the teeth in the Morocco-found juvenile fossil. With the help of x-ray imaging, the researchers revealed that this fossil is the earliest known human with a ‘long childhood’! Tanya Smith, an anthropologist at the Max Planck Institute for Evolutionary Anthropology in Germany informs. (The juvenile fossil) showed an equivalent degree of tooth development to living [modern] human children at the same age.